This book proposes intriguing arguments that will enable students to achieve a deeper understanding of electromagnetism, while also presenting a number of classical methods for solving difficult problems. 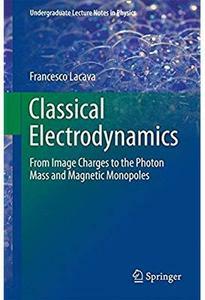 Francesco Lacava, "Classical Electrodynamics: From Image Charges to the Photon Mass and Magnetic Monopoles"
This book proposes intriguing arguments that will enable students to achieve a deeper understanding of electromagnetism, while also presenting a number of classical methods for solving difficult problems. Two chapters are devoted to relativistic electrodynamics, covering all aspects needed for a full comprehension of the nature of electric and magnetic fields and, subsequently, electrodynamics. Each of the two final chapters examines a selected experimental issue, introducing students to the work involved in actually proving a law or theory. 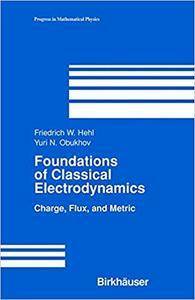 F. W. Hehl, Yuri N. Obukhov, "Foundations of Classical Electrodynamics"
This book addresses the theoretical foundations and the main physical consequences of electromagnetic interaction, generally considered to be one of the four fundamental interactions in nature, in a mathematically rigorous yet straightforward way. 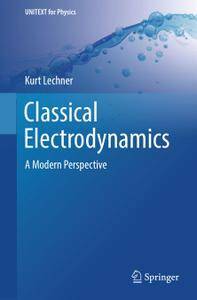 The major focus is on the unifying features shared by classical electrodynamics and all other fundamental relativistic classical field theories. 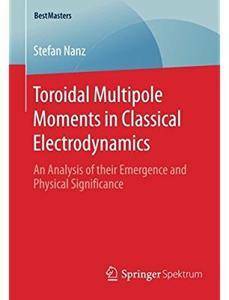 The book presents a balanced blend of derivations of phenomenological predictions from first principles on the one hand, and concrete applications on the other. 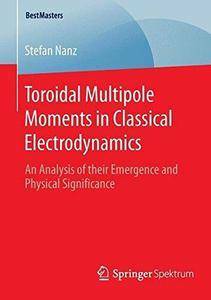 Stefan Nanz, "Toroidal Multipole Moments in Classical Electrodynamics: An Analysis of their Emergence and Physical Significance"